Let’s face it, NASCAR can be complicated, especially when rules change year to year. It’s tough being a rookie in NASCAR … even as a fan. I was there once, too. Racing brings together fans of all ages and backgrounds in a feverish excitement over a sport that can be wild and tumultuous, yet utterly confusing. Someone once said to me, “Fake it ‘til you make it,” and that advice has never steered me wrong. 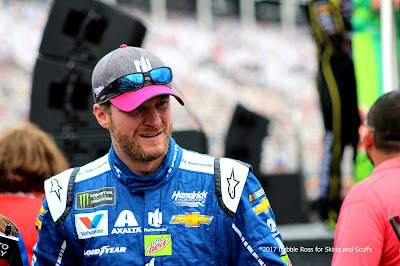 Even if you don’t know every detail of racing, your fandom is just as important to the sport as the lifelong fanatic, so here are 15 ways that you can let everyone know how much you love NASCAR. 1. Tell everyone that going to the Daytona 500 is at the top of your bucket list. 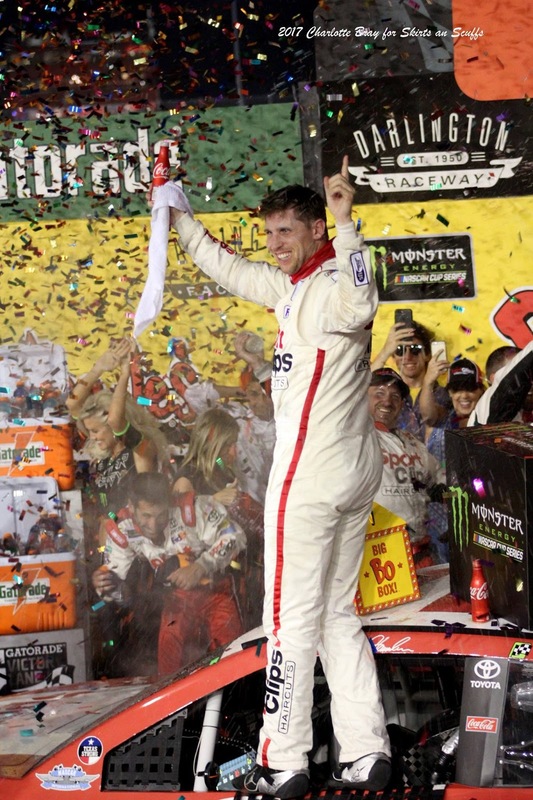 The Daytona 500 kicks off the NASCAR season in February and is the culmination of Speed Weeks. It’s kind of like the Super Bowl of NASCAR, but it’s held at the beginning of the season. 2. NASCAR is a sport. Always. A long-running debate exists over whether NASCAR is a sport, like baseball, basketball or football. The truth is, many pit crews are former pro athletes who want to extend their career beyond the field, or they may be post-college athletes who are not going into another pro sport. And drivers have to be in shape to endure hours in hot temperatures at high speeds. 3. Affectionately nickname your driveway Victory Lane, or call your garage The Hauler. 4. Perpetually sip on Monster Energy®, the drink that’s the title sponsor of NASCAR. Or if caffeine's not your thing, at least pretend like you are. 5. Pick a favorite track and favorite driver. Buy a t-shirt with your driver and his or her number and wear it. Especially on race days. 6. Know that “the Chase” is now known as “the Playoffs” and immediately correct anyone who says otherwise. 8. Throw some racing guru lingo into your conversation. Try talking about the view of the cars from the frontstretch or drivers who are on the bubble. And of course, you should always be ready for the Big One. 9. 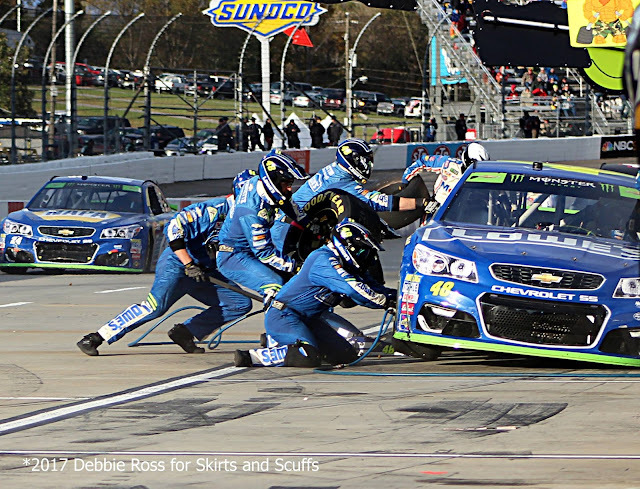 Talk endlessly about the skills and athleticism of NASCAR pit crews, especially how fast the over-the-wall team is. 10. Always favor NASCAR over football, the two sports that go head to head for viewership on weekends in the fall. 11. Check Jayski for the latest in NASCAR news headlines. 12. There is a checkered flag among the flags in Apple® emojis. Use it in your texts and tweets, especially when you live tweet during races. 14. Claim that burning rubber is your favorite smell. Trust me, other super fans will totally get it. 15. Talk about how sad you’ll be during the off-season, the three months in winter between the end of one season and the start of the next. Haha this was quite an interesting and amusing post, loved your sarcastic way of writing as well, keep up the good work. Looking forward to seeing more posts from you soon.